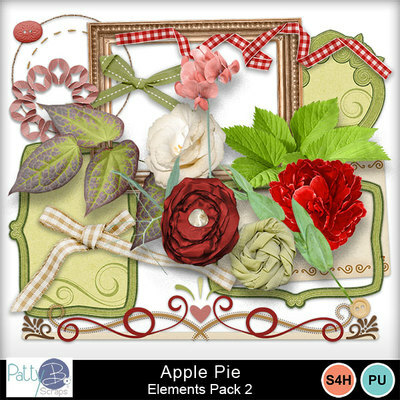 Apple Pie by PattyB Scraps is a lovely digital scrapbooking collection, and a great choice for scrapping family photos. The color palette has the comfort food feel to it, with the apple reds and greens, the tan and browned color of the crust. It is also great for documenting and scrapping fun in the kitchen, and creating printable recipe cards too.